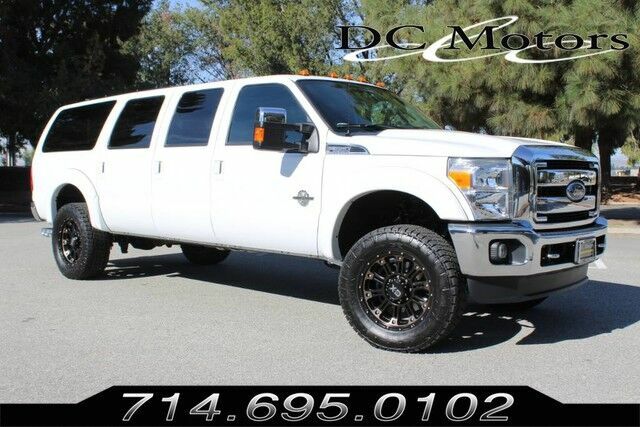 Very rare and limited production F350 long bed with Excursion rear body. This vehicle is the same wheelbase as an F350 long bed. Other added features include customized electric steps, front leveling kit and further customization that includes leather rear seats, suede headliner, custom hand made door panels, roof rack, rear wing windows, rear heating and AC and more. No expense spared. Under 150 miles driven since delivery was taken. Clean CARFAX and history. For more information about this vehicle and attractive financing options, please call our experienced sales team at 1-800-730-MOTOR. Stock # B99507, 6.7L Power Stroke V8 Turbo Diesel B20 Engine, Automatic, 138 mi.